This weekend’s VA/BF will see a flurry of artists and book lovers in downtown Vancouver, and JackPine will be there. 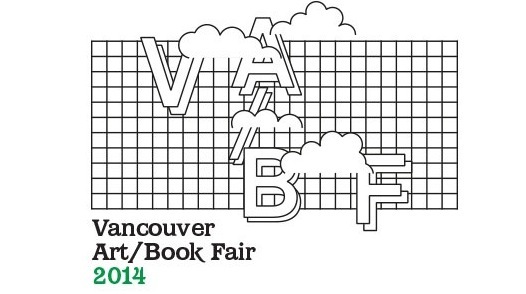 Free and open to the public, the Vancouver Art/Book Fair is the only international art book fair in Canada and one of only two on the West Coast. In 2014 the event launches with a Members Preview on October 3 from 6–8pm and takes place on October 4 and 5 from 12pm to 5pm. It is anticipated to attract over 1,500 visitors from across the Greater Vancouver Area and beyond. Presented by Project Space, VA/BF is a two-day festival of artists’ publishing featuring nearly one hundred local, national and international publishers, as well as a diverse line-up of programs, performances and installations. Featured artists travel to Vancouver from across Canada and the globe, and produce everything from books, magazines, zines and printed ephemera to digital, performative or other experimental forms of publication. Check out the packed program here, or see what people are saying on the Facebook event page.